The many beautiful smiles you gave. And thought, this is far too hard. Which ended far too soon. And inspiration from them we all have had. I release it to the eternal sky. Could see your lovely face. Loving each other until dying day. To keep us until the end. God has allowed us to be friends. Several years ago, Gam and I were having one of our “pity parties”, you know . . . feeling sorry for ourselves for our lot in life. We were struggling seeing our children’s friends growing up. 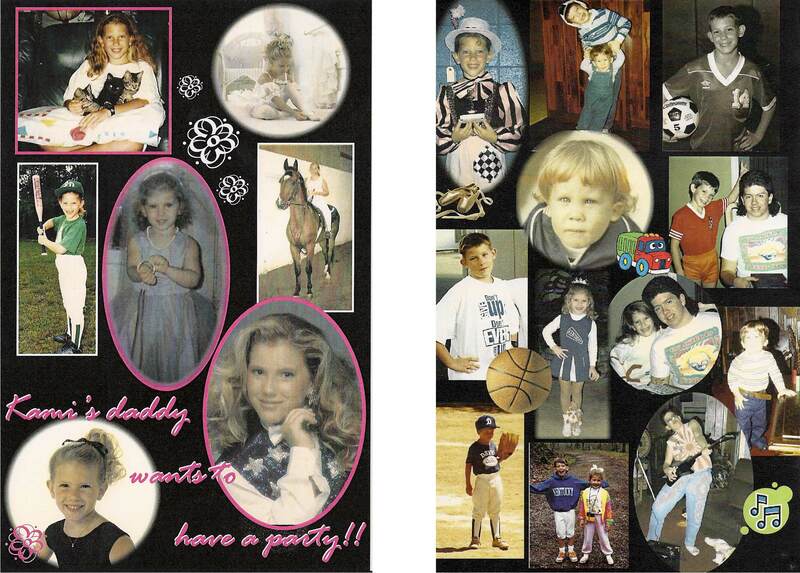 We were invited to graduation parties, engagement parties, weddings, birthdays, baby showers. You get the picture. Many times it took all the energy we could muster to attend these events. Of course, we were happy for them, but each time it was a bitter reminder that we would never have the opportunity to have a big party like that. Gam began to verbalize that he would like to have a party. One day when Gam was once again commenting that he would like to have a party, I mentioned that Kami’s 25th birthday would be a good time for a party. Time passed and when the fall of 2008 rolled around we decided that if there was to be a party, it was time to start planning. Sure, if nothing else, we could plan and dream about a party for our children. We had never been to a party such as this, so we had no guidelines or rules. Just a huge desire to cause people to remember and celebrate the lives of our children. We kept the idea a secret because I needed to have options in case I needed to back out. And, I must admit, there were many times that I wanted to back out. I knew we were taking a big risk. People would probably think we had gone over the edge, they wouldn’t understand, they wouldn’t come, etc. Ultimately, we decided to do what we needed to do for us and our children and we were prepared to let the chips fall where they fell. So, on Friday, August 7. 2009, Kami’s 25th birthday we held an Open House in our home. However, the party was not just about Kami. We used the occasion of her birthday to remember and celebrate her life as well as her three brothers, Buzzy, Stephen, and Todd. We asked guests to bring a memory to place in a memory box. 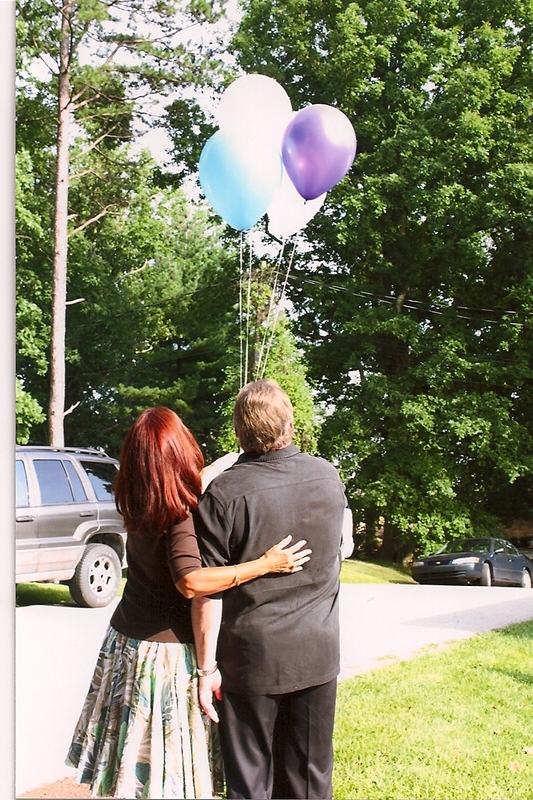 We invited each guest to lift a balloon in memory of any or all of our children. 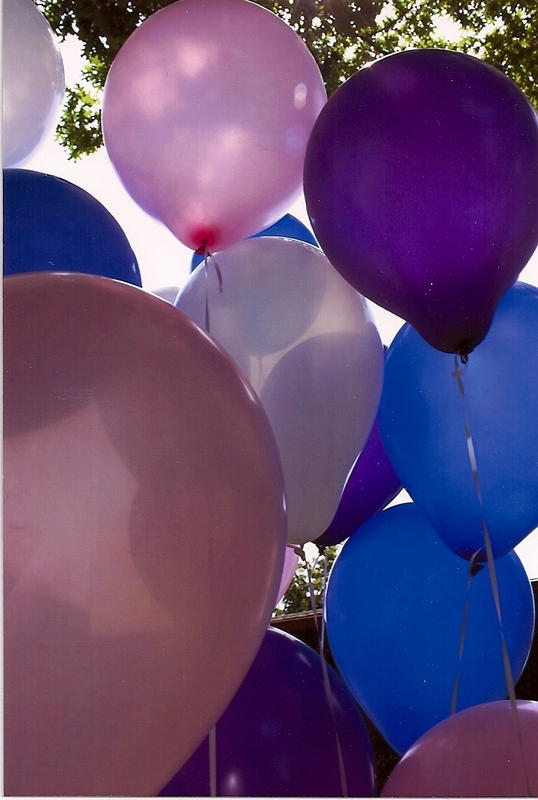 The balloons were: purple for Buzzy, white for Stephen, blue for Todd, and pink for Kami. 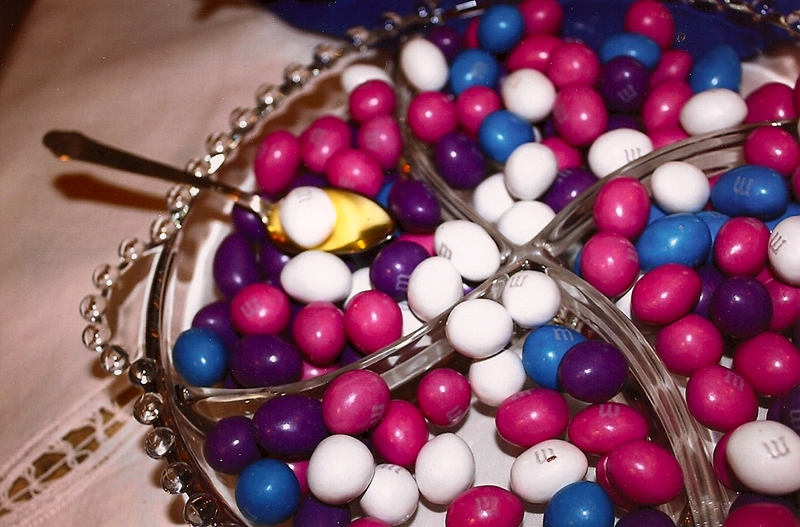 We also had purple, white, blue and pink M & M’s! They would have loved it! 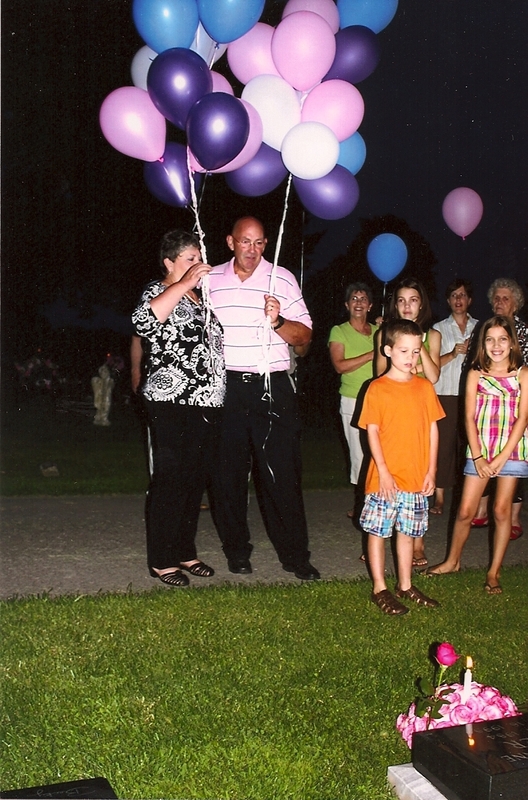 Most of the people had never lifted a balloon in memory of someone and many were quite moved by it. At the end of the day, remaining guests joined us at the cemetery where we lit the candle in a ﬂower cake that Lucy and Rebecca (two of Kami’s friends) have faithfully made for Kami’s birthday throughout the years. We sang Happy Birthday and lifted more balloons into a beautiful pink sunset. The whole day was a wonderful experience for both of us. It was not a sad day, it was a joyous day. It was a day about our children. It was a day that honored them. It was a day we got to freely talk about them and show off their pictures, a day we got to speak their names freely and hear their names spoken. What sweeter music to a bereaved parents ear? I LOVED IT! I LOVED IT! I LOVED IT! That morning when we awoke, I was so excited and full with joy, and as I hugged Rebecca I was full of mist saying, “Today is the day! It is here, we are having a party!” All those months of planning and working were for this day. . . Kami’s 25th birthday. The thoughts of what that could have been and her brothers being honored along with her with a party at the home that each of them loved. People came and came and came. It was something. It was a great feeling to see them coming through those front doors and into our home. The home where each of them lived and shared their lives. The home that they used to talk about which one of them would inherit someday. Memories were brought for the Memory Box and what a joy they were to look at when the party was over. It was an awesome experience for us, and yes, we did shed some tears as we remembered, but they were tears of joy. 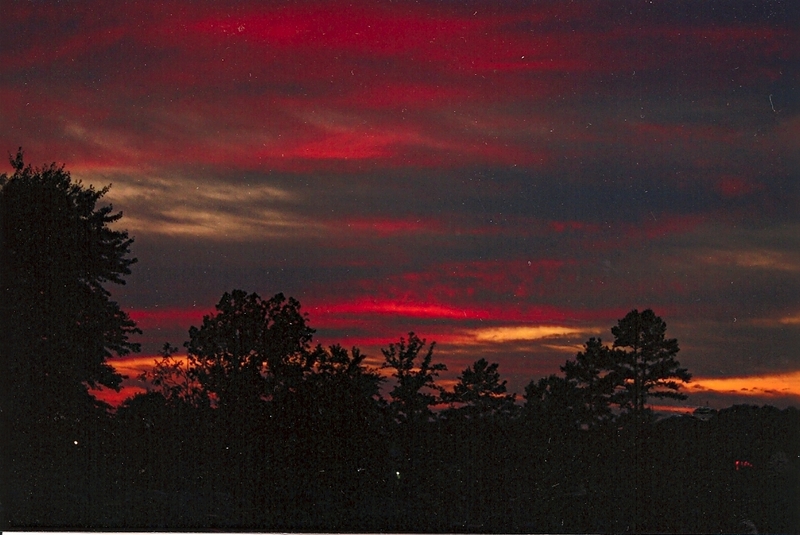 That evening when we went to the cemetery, I stood there with my arm around Rebecca. I was full of joy for what the day meant to each of us. I thought about how many came with a sense of caution, not knowing what to expect. We knew it took courage for us to have this party, but we realized today that it also took courage to attend such a party. Some did come and brought something with them, and by their presence left more than they could imagine. We got to have a party! 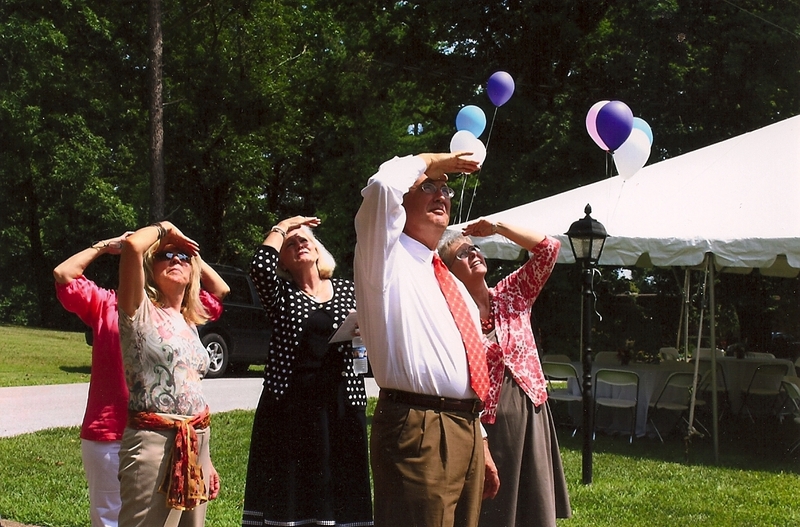 A wonderful party that Rebecca planned and wanted to do in honor of our children. It was a great, great day and I am so glad we had our party. Our children did live. We loved them and they loved us. It was one great day.